With CabDespatch your staff will be able to take bookings quicker than ever before. With document storage and expiry data management you can be sure you’re always in control of your driver’s licencing compliance. 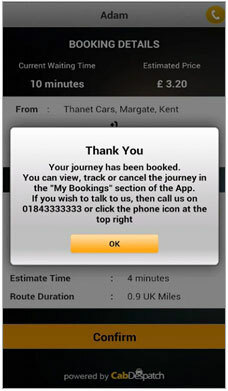 Always know where your drivers are, and be able to quote ETAs to customers instantly! Save your time on manually creating invoices every month, with CabDespatch your invoices are automatically created and emailed to your clients! Utilising the power of Microsoft’s SQL Server Database system allows CabDespatch to achieve unprecedented reliability whilst at the same time running quicker than you’d expect! Some drivers are slightly slower at pushing a button than others, should this really be a reason for penalising them with less work? 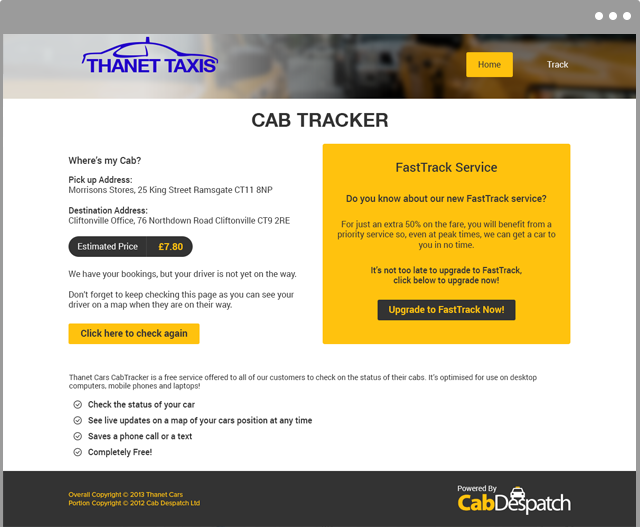 CabDespatch have developed their own, fair bidding systems to make sure every driver gets their fair share even knowing that anything happened! For many issues, CabDespatch Server can automatically notify technical support of any issues – even before they will affect you. This means that an issue at 3am may be fixed by morning without you even knowing that anything happened! CabDespatch Mobile supports the majority of Android mobile phones. With CabDespatch Mobile, your driver’s don’t need to be technically proficient – even the most technophobe driver on your circuit will find it easy to use! 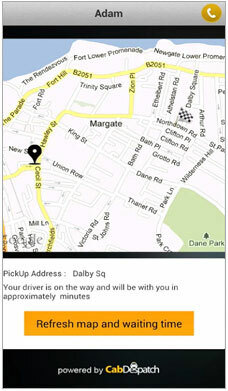 Your drivers are always visible on a map in the office thanks to their GPS device. Should there be a problem, they have a “panic” button always available which triggers instant alerts in the office. CabDespatch Mobile has many unique, advanced anti-cheat measures which can be enabled or disabled by the office. No need for your driver to re-type the address details into their navigation app, the details are automatically entered with just a single button click. The wireless doorbell! When your drivers arrive at a pickup, a single button press sends a message to the customers mobile letting them know that the driver is outside, along with which car to look for. This one function dramatically reduces dead runs and makes for happier drivers as customers are ready for when the driver arrives and load quicker! If a driver is on the way to a customer, the CabDespatch IVR system will automatically pick up the phone and inform the customer how much longer until the driver gets to them freeing up your staff to answer calls from customers booking a car! 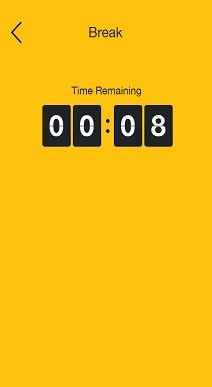 Registered users can input an ASAP job in under a second. Customer callbacks are a thing of the past! 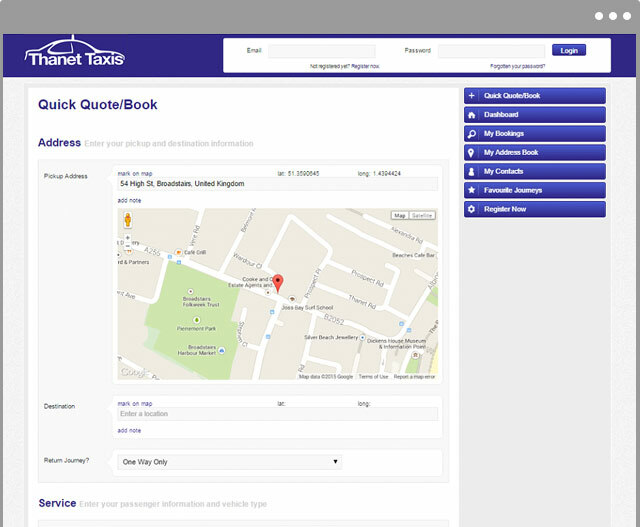 CabDespatch CabTracker allows your customers to track the progress of their booking in real time on their mobile phone, no downloading of apps necessary and works with all modern smartphones including Blackberry, iPhone, Android and Windows Phone! 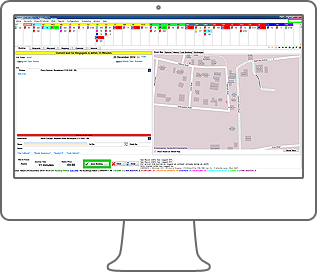 When the driver is on the way, the customer can even track the driver on a map so they know exactly when the driver will be arriving, reducing the time drivers need to sit and wait for customers to come out. All the time, the office is informed each and every time a customer having a coffee, you know that the customer is waiting! 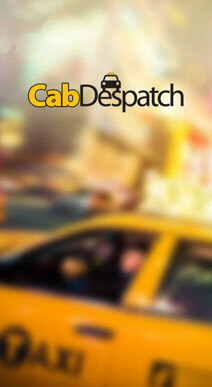 CabDespatch have booking apps available for both the Android and iPhone platforms. These allow customers to book and manage their own bookings from their mobile devices, thus saving you in staff time allowing you to take more bookings with less staff! It’s up to you whether to take bookings for cash only or to allow account bookings also. 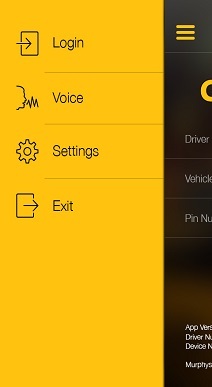 You can also choose what vehicle types to allow to be booked via the app. You, and your staff, are always fully in control. Customers can even track their drivers on a map within the booking app, speeding up the boarding process and making happier customers and happier drivers! 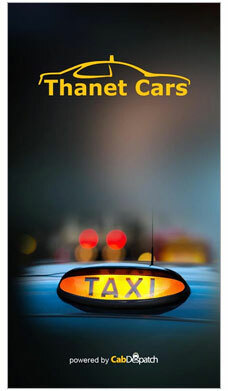 Accept online bookings for cash customers, account customers, credit cards or your own mix of these! CabDespatch provide the means for you to get your own web developer to integrate web bookings according to your own needs. If you don’t have your own web developer, then we can put you in touch with the right people to make sure you have a great website and online booking system.